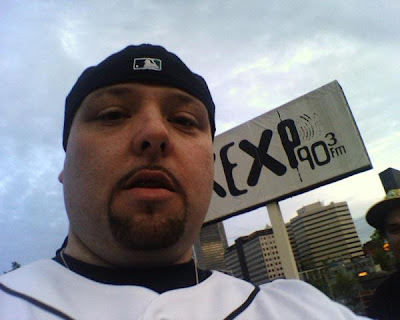 DJ B-Mello has been in the game for a minute and as of late, people have been listening to more of that quality hip-hop opposed to what's on the airwaves now. A throwback mixtape from the early 90s has just surfaced on the internets. It was digitized by someone and then posted on a blog from Spain. If you happen to have one of B-Mello's older tapes, hit him up, 'cause I'm sure he'd love to make a copy for his personal collection. Spotted this on 206Proof and this is what the Westcoast #1 Tapemaster had to say. This one is from back in the days when I claimed the Westcoast #1 Tapemaster. I was really goin hard in the paint. I haven't been able to transfer any of the real old joints & don't have all of the old mixtapes. This showed up on a blog from SPAIN & I figured people might wanna check it out. Tons of shout outs & you might recognize some of the folks.